I applied to study single honours German at Leeds because I loved the language and the course ranked very highly among its UK peers. I had no idea at that stage what career I wanted to pursue. Four years on, with finals approaching, I knew that I most definitely wanted to work with German rather than enter one of the professions on offer on the milk round. So, on the advice of a tutor, I applied to several universities running an MA in translation, which unfortunately Leeds did not offer back then. Having embarked on the MA at the University of Surrey, I was literally in the right place at the right time. A few months before graduating, I responded to a job ad on the department notice board and landed a position as an in-house translator at a company that would shortly be taken over by Pearson, the then owner of The Financial Times. And thus began three years of translating press articles, working to tight deadlines in a high-pressure environment, constantly absorbing new terminology and having my mistakes corrected by more experienced linguists, and basically getting the best grounding a translator can hope for in a short time. 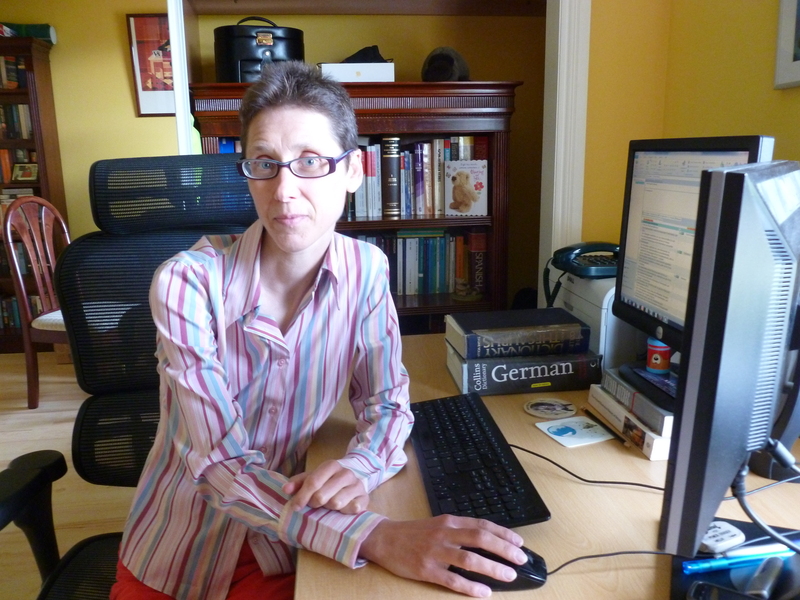 I left to take up the opportunity of a gap year in Canada and, on returning to the UK, became a translation project manager at a company that specialised in producing technical manuals and other educational material. Six months later, I had to leave because my partner was relocated yet again and it became clear to me that setting up as a freelancer was the best way to keep my career on a steady path. Straightaway, the in-house positions started to pay dividends – both as immediate sources of work while I was building a client base and as two reputable names to put on my CV. Get some hands-on experience, either in-house or doing pro bono work, for example. If you try to run before you can walk, you will make mistakes and lose hard-won customers. Network with your peers and let them know what you can do. When working on assignments with them, be a pleasure to work with. I have received much more work through word-of-mouth recommendations than through any other form of advertising. Become a true professional. Join your industry association, adopt its code of practice, undertake its CPD and keep abreast of developments in your industry. As a member of the Institute of Translation and Interpreting, I have a listing in its directory. This has also brought me work, as clients often go to an industry association when looking for a professional. There are downsides of course, such as the uncertainty over my future workload and income, but the freedom freelancing brings outweighs that by far in my opinion! Congrats on your success. All down to hard work and dedication, I realise ;- ) I love being freelance, despite the drawbacks.